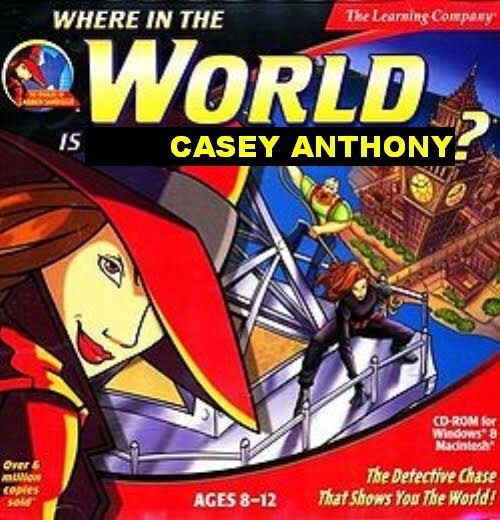 BOSTON, MA -- As a result of the enormous publicity surrounding the whereabouts of the infamous Casey Anthony, who was acquitted on July 5th in Miami, Florida of murdering her two-year-old daughter Caylee, the makers of the children's game "Where in the World is Carmen Sandiego?" are planning an update of the storied game to focus on the alleged child killer. The game is made by The Learning Company, a division of Houghton Mifflin Harcourt, the world's largest provider of educational products and solutions for preschool through Grade 12 students. 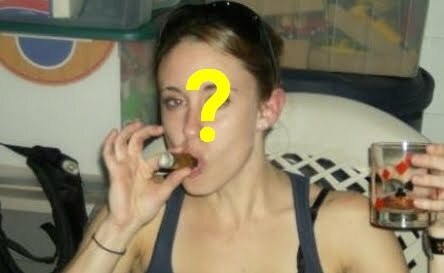 Although the new game, tentatively entitled, "Where in the World is Casey Anthony?" will share some common traits with the original made famous in the 1990s, there will be also some distinct differences. According to Tony B ardot, President of The Learning Company, instead of searching for various villains around the world as in the original game, players will receive clues in order to guess where Anthony is participating in wet t-shirt contests, drinking games, strip pole dancing and other similar activities. "It's such a different world than when Carmen Sandiego was first launched," says Bardot, "so we thought this new game should reflect the current reality. At the same time, players will still learn about world geography in a fun and entertaining way." However, the new game has certainly not been greeted with universal enthusiasm. According to Rita Dutmeyer, Founder and CEO of Mothers Against Matricide (MAM) in Atlanta, Georgia, the new game seems to make light of a very serious issue. "Our concern is that fame-seeking mothers elsewhere will commit similar atrocities in order to get games named after them. And just where does this end -- games about past serial killers around the world? Maybe the life of Hitler or Stalin to learn about Europe? It's just sick." Responds The Learning Company's Bardot, "No, we had never actually considered that, she's clearly exaggerating. But, honestly, it's not a bad idea!"